Find jobs easily even without knowledge of what the blockchain is. You can search for jobs on our job market platform or build your reputation as a freelancer and get contacted directly by customers requesting your expertise. Simplicity is a core principle of this platform. In need of getting a job done? No problem! Simply create a job offer at our platform and wait for freelancers to take you up on your offer or contact trustworthy freelancers directly. It's as easy as it gets! With this project we want to tackle several issues that are currently prevalent in the freelancing world, including but not reserved to: fake reviews, getting the payment for your work reliably and the uncontrollable influence of a central authority figure. 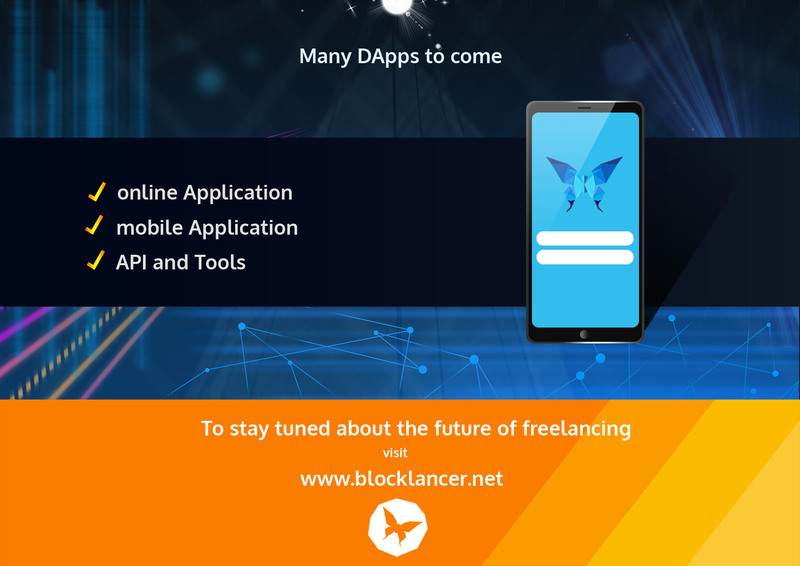 On Blocklancer you only have to pay if you are 100 % satisfied with the work or if certain milestones are reached. And in case of a dispute the token holders will decide. Never again will you encounter unilateral decisions by a biased authority and an unfair money loss. Never depend on a single authority to settle your disputes again. 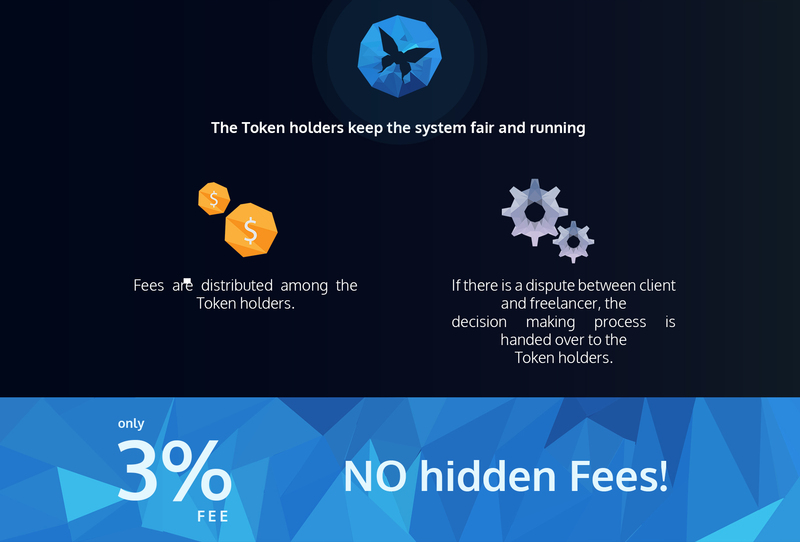 With our token holder tribunal (THT) the decision lies in the hands of thousands of token holders, guaranteeing a fair decision. Our fees are only 3 % per job, several times lower than on other freelancing websites. Freelancing will finally be a lucrative way of earning money - and reliable as well. Because of the blockchain, your job offers can't be deleted under any circumstances. Political Correctness and personal feelings play no role anymore, because the blockchain is incorruptible. The Tokens represent the share you have in our project. The Tokens are therefore comparable to shares in a company, where you receive a certain percentage of the companies revenue. 100 % of the fees earned from jobs on our platform will be distributed among the token holders. The token holders will be given a vote in our token holder tribunal, settling disputes between customers and freelancers. I'm happy to announce the start of our bounty campaign and we hope to see many of you participating.